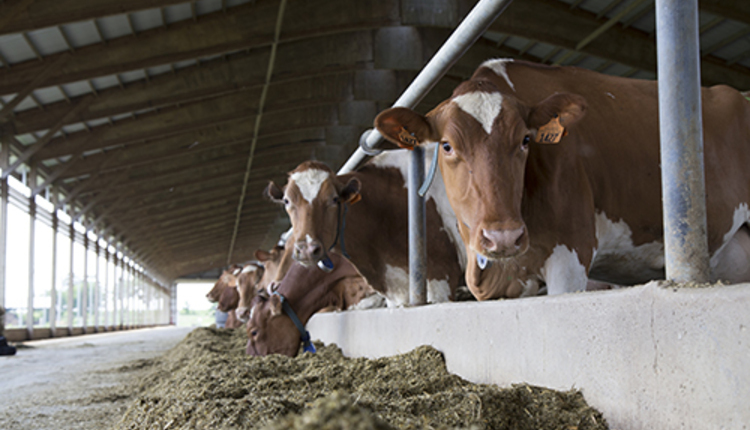 Late last month, the entire Hoard Guernsey herd was appraised as part of June's scheduled rotation in Wisconsin. 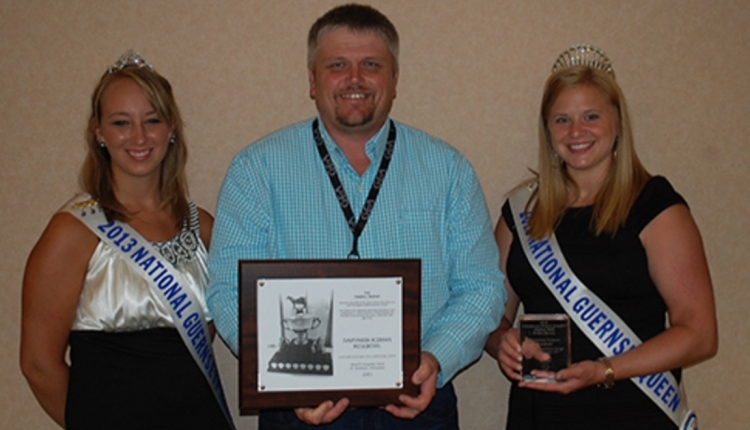 The youngest cow to receive a score was Dairyman Ben Neater, #1167. She calved on May 31 and will not reach her second birthday until September 19. 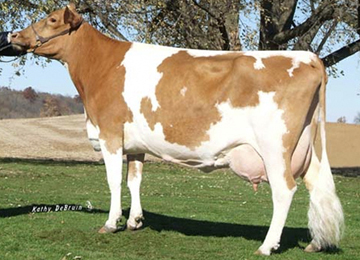 She is a well-grown heifer that scored VG-82, with an 80-point udder, and an 87-point foot and leg. The next logical question is, "When do we breed heifers?" 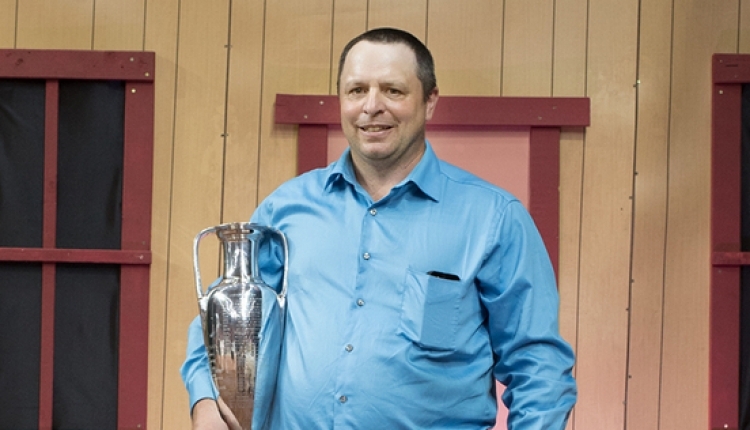 Jason Yurs, the Hoard Farm manager notes that heifers showing heat are bred when they are 42 inches tall. 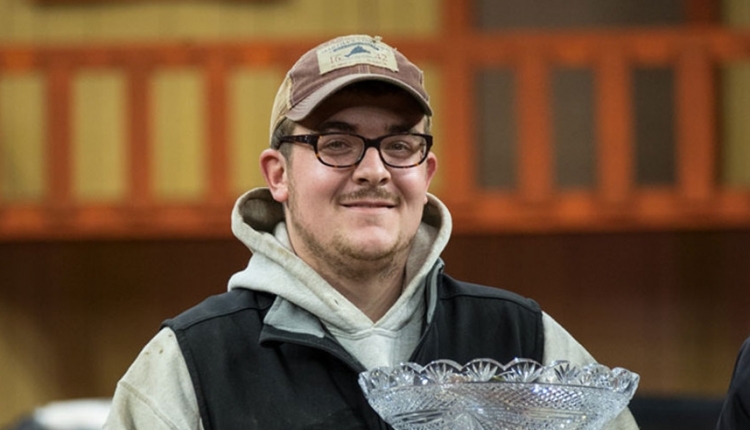 Dairyman Ben Neater is just one of 114 classified 2-year-olds. 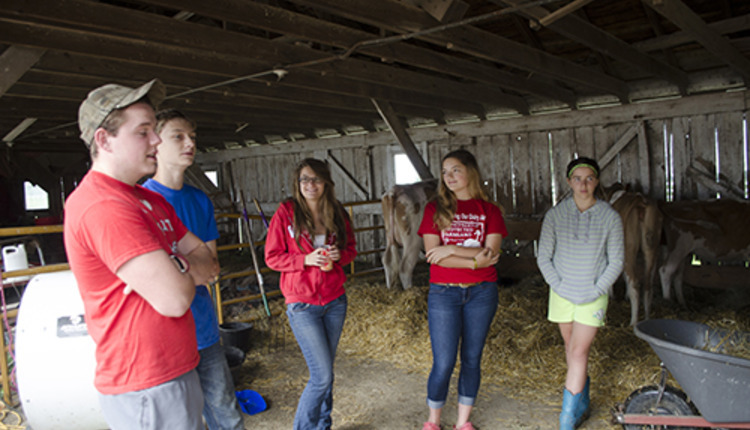 As a group, they average 79.4 points which is up nearly one point from last year's 78.8 average. 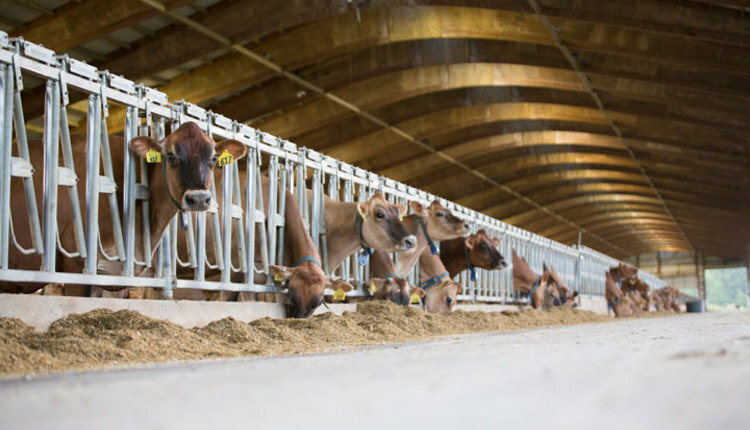 During the day, a Brown Swiss evaluator looked at 268 milk cows (Brown Swiss, Guernsey, and Milking Shorthorn partner on their classification program). 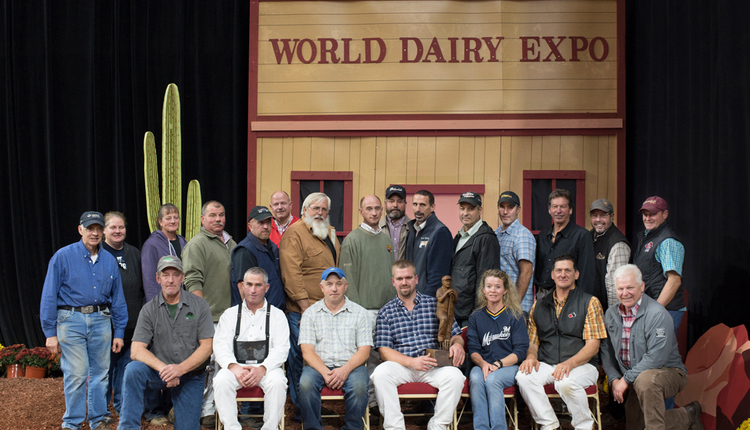 In addition to those individuals, there were 63 cows that were dry, bringing the total Guernseys with classification scores to 331. 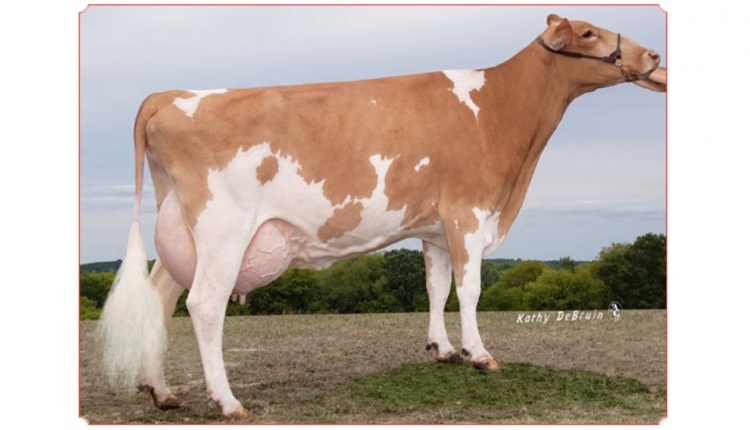 Shown above Dairyman Amen Jolene, a cow that went Excellent 91 as an 8-year-old with an EX-93 feet and legs. 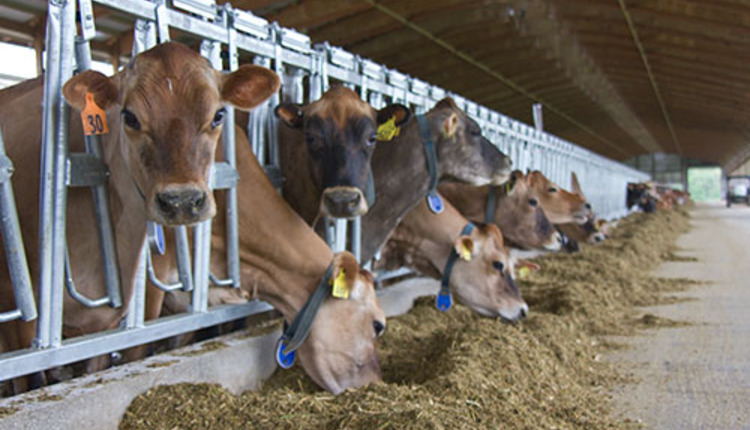 When it comes to milk production, the Hoard Guernseys are averaging 18,462 M, 4.95 % 914 F, 3.4% 623P for a cheese yield of 2,128 pounds. 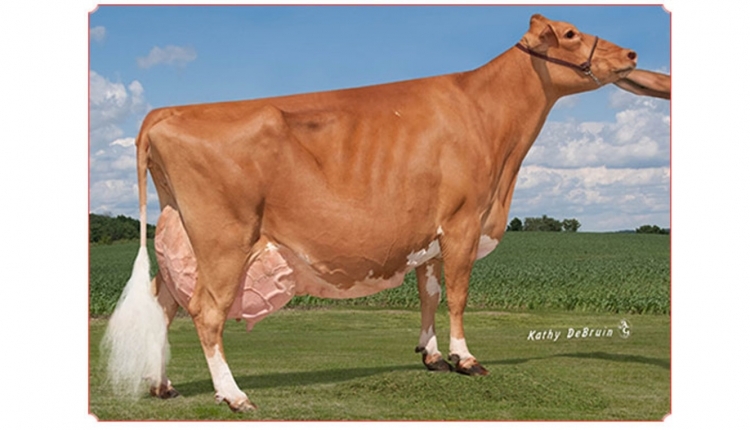 To see a complete list of Hoard Farm Guernseys and their classification scores, download the file below.